The trend for men has changed. Goodbye shaved heads. Today’s man is stylish. Today’s man wants the total package. Today’s man wants the Red Carpet look. Today’s man wants hair! One third of all men will experience male pattern baldness at some point in their life. 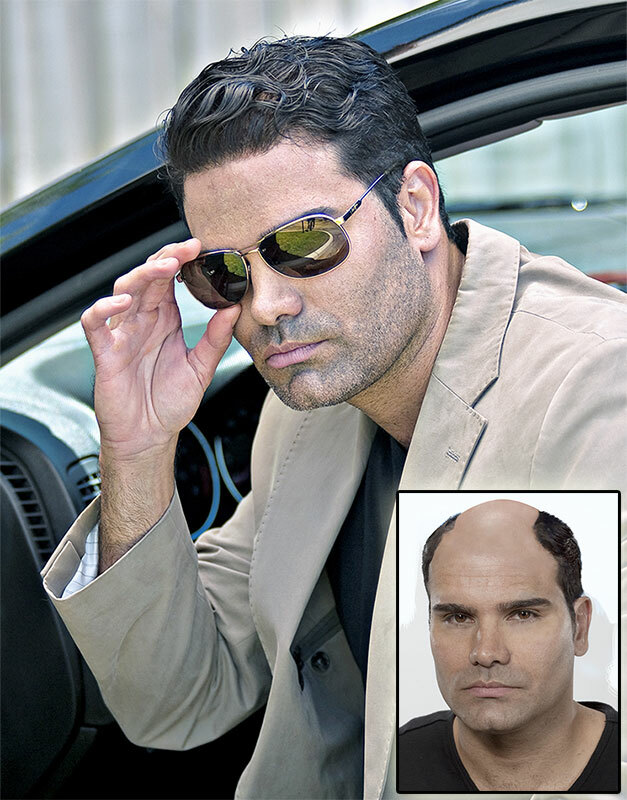 Men as early as their teens can lose their hair for various reasons. Hormone imbalance, medications, certain illnesses and age can all result in hair loss. Men’s hair loss can be just as devastating to them and their self esteem. Enter modern technology that has created hair pieces for men so natural, so thin, and so lightweight with the look of real scalp that you can cut and style it for any of today’s modern looks. Our 100% human hair pieces come in dozens of colors, grays and natural tones. Our manufacturers offer many different stock hair pieces that are delivered in just a few days and can be customized in house for a perfect match and fit! No one will know you’re wearing hair! Hair Loss Systems – Seeing is Believing! Our Hair Replacement looks and feels like real hair and scalp. Call today and come in for a private consultation. Let’s get the look!